There is an obvious economic divide between single women and married women—two incomes are always better than one. But it goes deeper than that; being single simply costs more than being married. From tax breaks to housing costs, our economic system is set up to benefit couples. 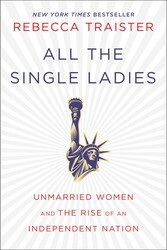 Find out more about the financial implications for the growing single female population in All The Single Ladies. Share Is Being Single Costing You More?